The governor told party members to be proud and boastful of the achievements of the party. 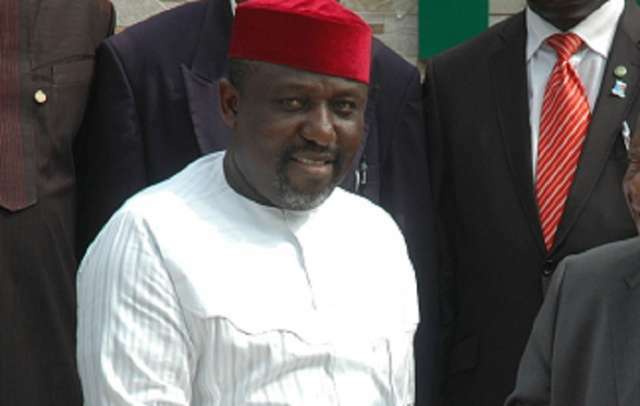 Imo State governor, Rochas Okorocha, has assured members of the All Progressives' Congress (APC) that the ruling party will rule the state and Nigeria for a long time. In a press statement released in Owerri on Tuesday, December 26, 2017, the governor told party members to be proud and boastful of the achievements of the party and expect to be rewarded for it at the polls. He said the APC administration has surpassed the previous governments and will return to power in the 2019 general elections, both in the state and national levels. The statement read, "The governor, Owelle Rochas Okorocha has called on leaders and members of All Progressives Congress, APC, in the state to remain steadfast and also be proud that their party is in power both in the state and at the federal level. "The governor equally told the party members to be boastful of the monumental achievements of the party's administration in the state which have exceeded all that the administrations before him had achieved. "He assured the party members that APC would retain power in the state and at the national level for a long time and urged them to disregard the claims by other parties that they would return to power in 2019. "The governor also celebrated Christmas for the party officials at the state, local government and ward levels with cash, and told them to continue to work for the progress of the party because APC is in power to retain it with visible achievements."